A beautiful, healthy, disease and weed-free lawn is easily achieved by following a program of regular care and maintenance. 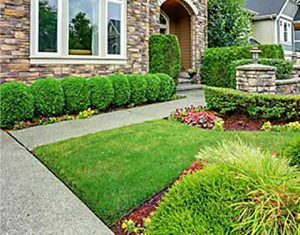 Carefully cared for lawns are an important part of every home; they’re a source of pride for homeowners and they show friends, family and neighbors that you care about your place of residence and your neighborhood. But lawns take a substantial amount of effort; between family, work, and managing everyday tasks, there’s rarely enough time to fit in lawn care and yard maintenance. That’s where Hoffman’s Lawn & Fertilization comes in. We can take care of all of your lawn care & landscaping needs. We offer a vast array of services for lawn care at affordable prices. With our lawn mowing and regular lawn maintenance services, we help property owners take pride in their property, improve its functionality, and raise its value all at the same time. A beautiful landscape brings pride in ownership, and speaks success about the owner. We want to contribute to the landscape beauty in our neighborhoods with year-round lawn maintenance and lawn care. Whether you need basic lawn mowing service, or a comprehensive program designed to rejuvenate your lawn into a healthy lush turf, you can call on us for professional services. 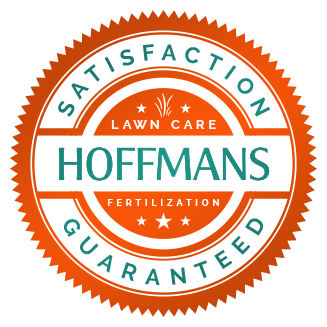 From general lawn mowing service to a comprehensive plan tailored to set your landscape apart from others, no job is too large or too small for Hoffman’s Lawn & Fertilization crew.